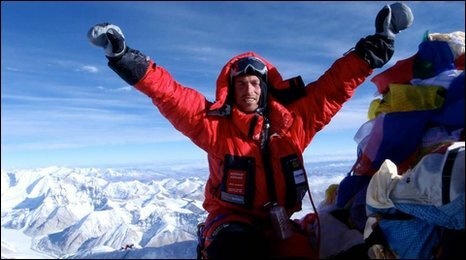 I was at my son’s school graduation recently and the Principal quoted a Canadian climber of Everest (why an Australian wasn’t chosen I don’t know) who contacted the Canadian Prime Minister from the summit on a sat phone and made the pronouncement that you can do anything you set your mind to. That platitude at the graduation was meant as some sort of ill-conceived rally call to the boys to aim high etc. etc. The problem though is that it’s BS and only the cynical boys – and my son is one of them- realises it. Besides that it is dangerous because it entrenches the superiority of the elite few who repeat this saying as a form of faux humility. Here’s why. I cannot sing. No matter how hard I try I will never get a number one single. Simon Cowell will never sign me up on his record label and nor will I ever be a panellist on one of those talent shows. I may climb Everest as it’s not that hard. K2 nah never. I will never sail single-handed around the world – I don’t have the skills unlike teenager Jessica Watson who did. And guess what she said when she arrived back in Australia after that amazing feat of skill and luck? Something like ‘I’m just an ordinary girl who set her mind to it. You can do anything you want as long as you try hard.’ I have enormous respect for Jessica, I even have a signed copy of her book, but on this issue she is completely wrong. Giving our young people achievement exhortations to empower them can do one of two things. Inspire a few who have the drive, ability, skills, money, parental support, sponsors and opportunity to make that sort of thing happen to get out of their bedroom and actually do it. The other path taken, I suspect for the majority of young people, is the creation of a feeling of disappointment in the mediocrity of talents that they have apparently been bestowed. I can draw pretty well. I cannot fathom how someone cannot see something in the world and replicate it on paper using a pencil. For me it is a natural thing and not a gift. Now if I could just sing, rather than being tone deaf that I am. I would regard that as a gift. Others would no doubt regard my ability with pen and paper as a gift. That said no matter how hard I try I don’t think I would win the Dobell Prize for drawing (it’s been discontinued now but you get my point). Talents and gifts can be bestowed and refined through hard work and further learning, but in the final analysis these gifts vary in depth. Some are a mere veneer and some run to the core. No-one will be queuing to see my works at GOMA (Brisbane’s Gallery of Modern Art) any time soon. And guess what, I’m happy with that. The strive to be the best while OK, is in fact on many levels, quite vacuous. At times it is about being single-minded, self-absorbed and about pride (one of the seven deadly sins after all). My annual Christmas updates from distant friends via email or Facebook are full of how proud they are of their children, or put another way, littered with the achievements of their offspring. So much so that they have me reeling with disappointment about the fact that my genetic product, my children, seem to have delivered…well mediocrity by comparison. No symphony orchestra solo, no sporting triumph, no admission to Harvard or Oxford (and we are talking about the same child here oftentimes). At times it appears that everyone else is kicking goals. So for some, like Jessica Watson, the phrase is well meaning and bears no malice no matter how misguided it is. For others I suspect there is a deeper underlying motive at play which is about superiority. This ‘I’m better than you’ is made worse if young people constantly feel that they should be capable of achieving peaks of valour or extraordinary accomplishments that are highlighted in the media, Christmas emails or College graduations. This psychology has leeched into our national fabric. The lionising of our ANZAC soldiers for example is made out to be something amazing and self-less with our brave boys often going to their deaths valiant in the face of a much stronger enemy. Imagine against this backdrop that you found out that your great grandfather was actually shot in the back in Pine Gap running away because he actually realised that this wasn’t what he signed up for. Well in fact records show that a large number of our ‘brave’ young men were in fact running away. For me that doesn’t make them any less of a person, it humanises them. Those leading recent school graduations, and I’m sure many drew on the ANZAC spirit, would be horrified by the notion. This lofting of the human as being capable of the extraordinary is really the domain of a few not most. It was Simpson and his donkey and not Smith, Jones, Brown, Porter, Simpson, Black, White and their donkeys. While it is OK to rejoice in the accomplishments of the extraordinary we should delight in the ordinary as well. The reality is that most of the young men graduating school are in for a life of the mundane and mediocrity. They will never achieve feats that will draw national applause. To suggest otherwise is to just magnify their diminished sense of self-worth and disappointment. Rather than just be negative I want to offer some alternatives. Firstly can I quote the President and CEO of McDonalds Corporation. His advice is NOT to set your mind to things but ‘find something that you really enjoy doing’. This way you never work a day in your life. It perhaps sounds a bit anti-WASPish but I think something worth holding out for. Thinking of it another way ‘People don’t live longer they die slower.’ – if you don’t follow his advice. It really comes down to finding your passion in life and then being passionate about it. Such advice then can be equally taken on board by the school leadership team (the Head Boys) AND the boys who spent too many hours doing detention. Another pearl of wisdom is ‘don’t be the best be the longest’ Stickability and perseverance count for more than victory. Famed 1500m runner John Walker won both Olympic Gold in 1976 at 1500 and was the first person to run under 3.50 for the mile in 1975. After he was no longer the fastest in the world, the point at which many leave the sport (to retire at the top), he set new goals and became the first person to run over 100 sub 4 minute miles achieving that in 1985. Injury forced him to retire in the 1990s with 135 sub 4 minute miles under his belt. He continued because he loved it. It stuck at it. He was no longer the best from 1978 onwards but tenacity and passion kept him in the game. He did things for him and not how he wanted to be regarded by others. Don’t be the best be the longest…. There are the smart kids for whom getting into a good university and coming out with a good (generally ‘meal ticket’) degree is not much of a push. Out in the real world IQ actually doesn’t count for much. I DO counts for much more. I do over IQ! Closing-out something when you are asked to tackle a task is gold to a Manager. This will be regarded much more highly than your ability to sustain a highly reasoned argument as to why you couldn’t get the job done. Motivational quotient is how I describe it, or MQ. If you want a good example look at the Spice Girls. Not much talent, loads of MQ and still the highest selling girl bad – ever. Research undertaken on death has shown that there are often disappointments expressed at the end of life. Palliative care nurses have reported that the most frequent regret expressed is that people were not true to themselves during their lifetime. Being true to yourself and authentic are highly valued personal commodities. Be a good friend to your mates. Look after yourself and those who look after you. Do this and the world will reward you. This applies in life; this applies in business. And well done boys! The world may not be your oyster but it may well be the mollusc of your choice. I read with interest in The Australian Financial Review (2nd Dec 2014) that BMW is joining in the collaborative consumption movement. Otherwise known as the collaborative economy or share economy (yes we have issues with nomenclature). You know when the more staid Germans start adopting new ideas that they really are becoming the new paradigm. 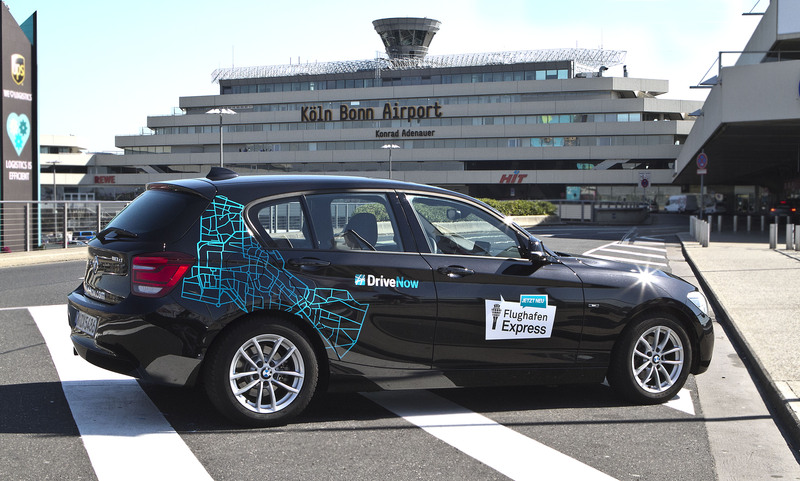 Their contribution to the share economy is something called DriveNow. What is different from car rentals you may ask? Well it’s a disruptor to that model (check out my previous blog on disruptors) and something that must be a concern to the car rental market and indeed traditional car manufacturing. In the same way as the Gen Y don’t want to own the book, but just read the content, or not own the CD but just listen to the music, so people are not wanting to own the car but just get from A to B. What is different about DriveNow is that is operates a bit like the bike schemes most large cities have (except the Brisbane one where the bikes seem always to be parked up not ridden). So it is a one way disposable trip, in other words you just drive then park it. GPS lets BMW know where the vehicles are. Access is via a smartphone app and you pay by the minute. Brokerage company Aviate Global has estimated that 1 sharing vehicle removes 32 personal vehicles. You can see therefore how this can be good for the environment as well; which is a core pillar of the share economy. 5% growth in car sharing by the 2020 could halve US car sales. What is driving many squeezed by the economy and rising house prices is the fact that the second biggest asset we are likely to own, our car, is utilised on average only 4% of the time in a 24 hour day. That’s a lot of idle time. The opportunities for BMW to tailor the experience through mass customisation to the driver are immense. 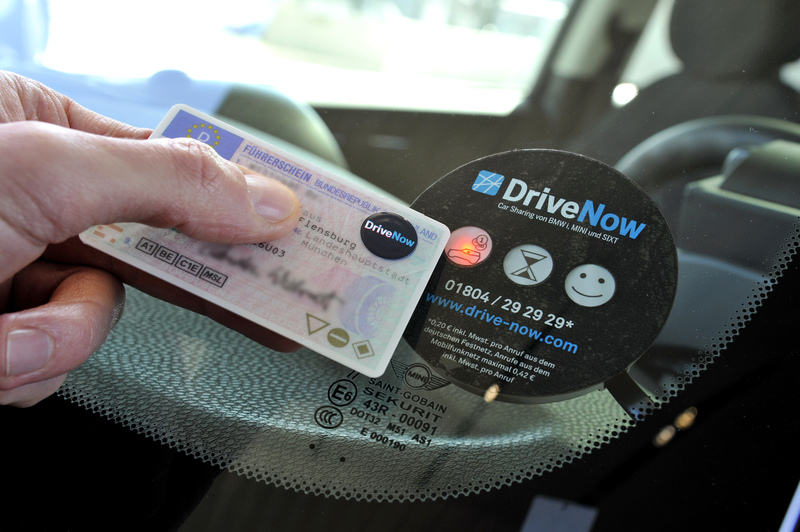 Imagine getting in your DriveNow vehicle to have you Spotify database available immediately through the car’s entertainment system, the 50 most recent destinations pre-loaded into the Sat Nav, reminders through the car stereo of birthdays and anniversaries pending as you are approaching a florist. Seat positions can be pre-programmed and comfort levels for temperature etc. the possibilities are endless as is heads-up information on the screen as driverless technology takes hold. London cabbies must be quaking in their boots. Uber must be quaking in its boots. Here is old school disrupting the disruptor…the fight back has begun methinks. While share economy companies are good for the customer and the environment one of the key issues upon which their success relies is trust. Take AirBnB for example. I was fortunate to hear Rachel Botsman do a keynote address some years ago and as a result stayed in Pat’s New York apartment for three weeks. He wasn’t there of course but he did meet us at 11pm when we arrived and he gave us a run down of the apartment and the neighbourhood before depositing his key with us and pedalling off down East 71 Street into the night. He didn’t know us from Adam but there we were in his apartment amidst all of his clutter and his most valuable possessions. Trust. As we now know Air BnB is a worldwide phenomenon. In the case of BMW’s DriveNow initiative trust will also be key, but they start off a high base because the brand of BMW smacks of trustworthiness. It’s quality cars they are offering that are fun and environmentally responsible. Once again trust. As we know from the theory of sales, once trust has been established it makes moving to sales closure much easier. The second core pillar in making your share economy company succeed is a willingness by the public to ditch the status quo and try your offering. That first encounter they have can be all important. Everyone knows that complaints travel faster than compliments and Baby Boomers will tell 10 times more people about a bad experience than a good one. Gen Y’s will Tweet and/or Facebook about bad experiences. Millennials, according to Nick Bowditch, Twitter’s main man in Australia, will just set up a business in opposition to yours if they don’t have a good experience and disrupt yours by doing things better and faster. So the offering has to be based on trust and be enticing and fulfil or exceed expectations. Nothing difficult here then. At my company we have our own share economy initiative called Hot Leasing . The trust issue is OK as we have been in business approaching 21 years and have a reputation in the market for being ethical and reliable. The challenge for us is the presentation of an idea so radical that it will take time for the market to adjust to a new possibility. Unlike say a taxi journey or a few nights stay in an apartment, our offering requires a massive change in business behaviour with companies moving from long-held leases to a free-wheeling working life where they pay as they go, only interacting with us when they are interfacing with their clients. We are, simply put, the Air BnB of the commercial/industrial leasing space. And we are excited about it. Gradually people are catching on. 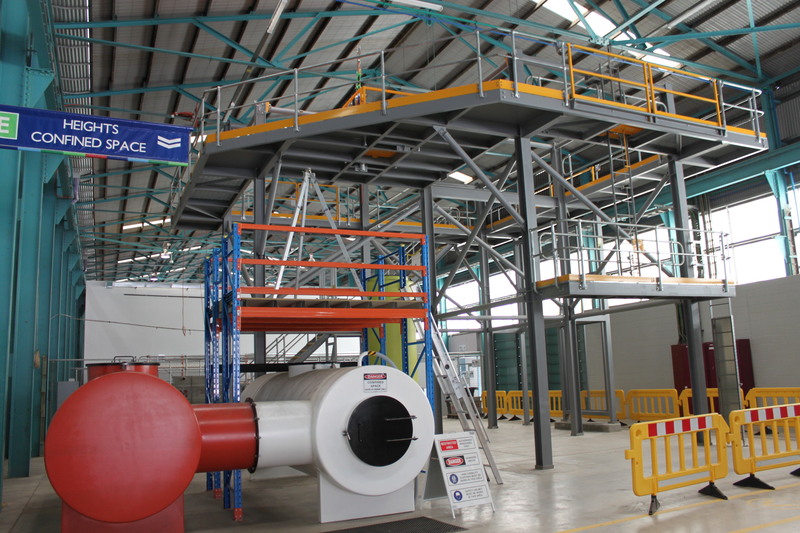 There is no need to own expensive equipment like forklifts or elevated work platforms etc. There’s no need even to lease or hire them. With us that’s all part of the package. We have a well-developed process for cherishing each and every brand that uses our facilities and the experience of students and trainers exceeds expectations. We await the main-streaming of the share economy so that the more risk averse can start looking at our proposition for what it is; an excellent, low-risk, environmentally sound way to do business. While on the subject of the environment it is always good to buy local as opposed to buying nationally and buy nationally as opposed to buying internationally. In order to assist with some Australian examples here are share economy companies collaborative evangelists may wish to consider. I’m more than happy to share these with you. After all isn’t that what collaboration is all about?